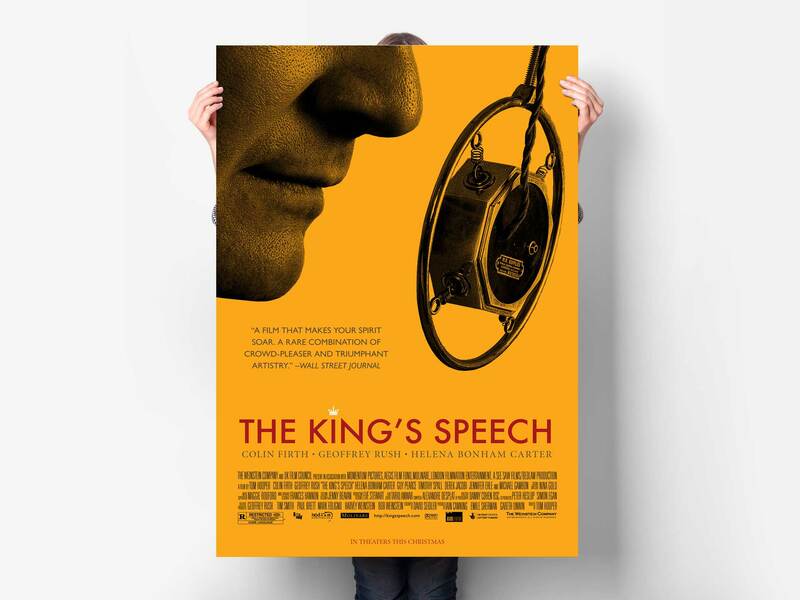 When we were asked to create the Key Art for The King’s Speech, little did we know that some 400 other explorations had already been done. What else could we possibly do? And to top it off, one of the directives that we were given was to avoid, at all cost, the inclusion of a microphone. After doing a round of about 10 explorations, there was one last idea trotting in our heads. A close-up featuring the King’s mouth, and the other uncredited character in the film, the one that the king had to face time and again, against his fears, the microphone! Directed by Tom Hooper and written by David Seidler. The film stars Colin Firth, Geoffrey Rush and Helena Bonham Carter. The film won 4 Oscar awards, + another 80 wins and 101 nominations.